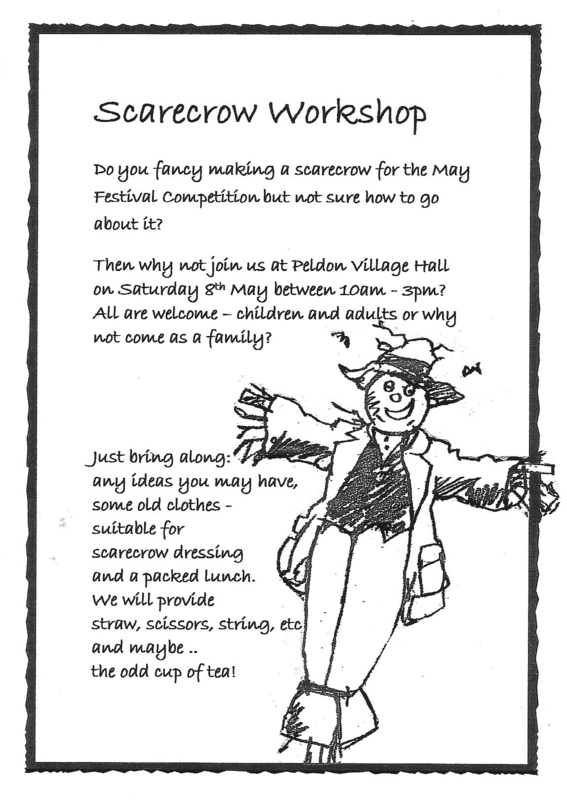 Do you fancy making a scarecrow for the May Festival Competition but are not sure how to go about it? 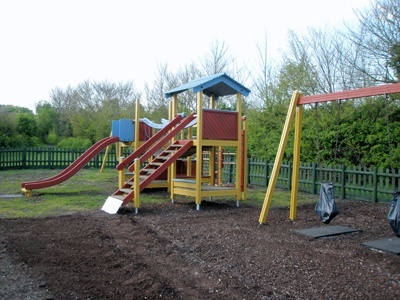 Then why not join us at Peldon Village Hall on Saturday 8th May between 10am – 3pm? All are welcome – children and adults or why not come as a family? 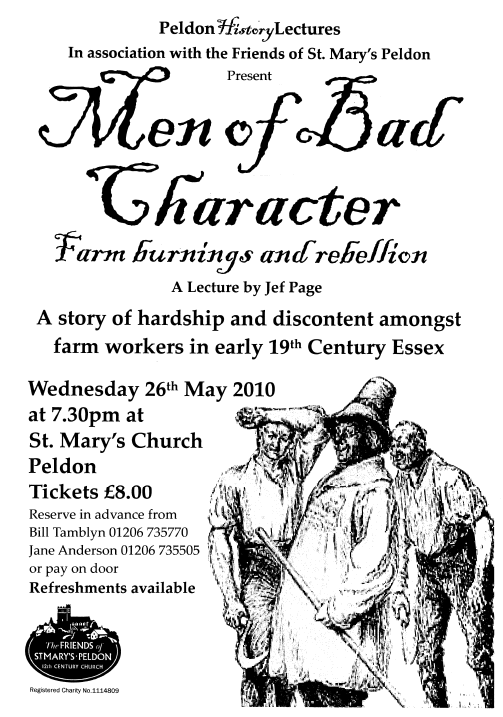 Peldon History Lectures, in association with Friends of St. Mary’s Peldon, present “Men of Bad Character – Farm burnings & rebellion” a story of hardship & discontent amongst farm workers in early 19th Century Essex as told by Jef Page.